Gemstone necklace made with 18 inch 25ct Gold Vermeil chain hung with a 10mm Blue Sapphire pendant. 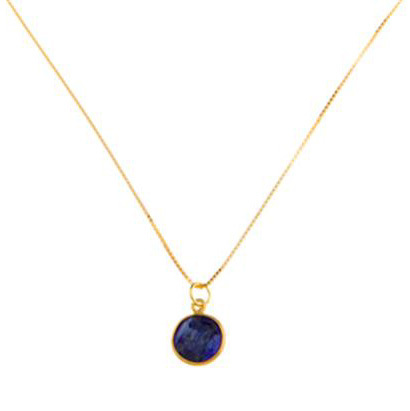 The blue sapphire pendant is encased in 18ct Gold Vermeil on Sterling Silver. The Gold Vermeil chain is 18 inches in length.